You are required to be diligent while choosing a wedding venue. The proximity of the venue, space to accommodate guests, sufficient car parking space, veg or non-veg menu, hygiene factor, all these matter the most. Hence, the options that you have in hand must cover all these aspects. A Delhi wedding is a grand event and it is a universal fact. If you are searching for venues in the posh district of Delhi, Kalkaji, you’ve landed at the right place. We are here with the list of hand-picked venues in Kalkaji, Delhi to help you in going a step ahead with your wedding planning. Golden Dreams Banquet, Kalkaji, Delhi is an ideal venue for small functions like birthdays, anniversaries and pre-wedding functions. The venue serves mouth-watering multi-cuisine delicacies to choose from in both vegetarian and non-vegetarian food. The decor team at Golden Dreams Kalkaji takes care of the decoration for your big day. Golden Dreams serves alcohol and also allows you to get it from outside. It offers complimentary changing room for the bride and the groom for your big day. Golden Banquet Kalkaji has multiple party areas which makes it easy to have different functions at the same venue. It has two-timed slots you can choose the one which suits you the best. Golden Dreams Banquet, Kalkaji, Delhi offers valet parking service to their guests. Hotel Mint Oodles, Kalkaji, Delhi is the best destination to host small functions like birthdays, anniversaries, cocktail party, bachelor party and family get-togethers. It is located on Nehru Place Flyover and near Kalkaji Mandir Metro Station which makes it easily accessible for all to reach there. Oodles Hotel Kalkaji Delhi serves a wide range of tasty delicacies to choose from in both vegetarian and non-vegetarian food to your guests. The venue offers scrumptious and multi-cuisine spreads like Thai, Chinese, Marwari, Gujarati, Jain, Continental, Rajasthani and much more for your taste buds. Plan your wedding and reception ceremony at the lovely Shabnam Banquet, Kalkaji, Delhi. It is located on the Ohkla Estate Marg which makes it convenient for all to reach there. One of the most sought after banquet halls in Kalkaji Shabnam Banquet Hall serves multi-cuisine delicacies in both vegetarian and non-vegetarian food to their guests. The elegant décor of the venue makes it an ideal option for a grand wedding. The venue has an inviting ambience which makes your guests feel welcomed. It has a spacious banquet hall that can accommodate a large gathering for your function. The venue offers ample car parking space to your invitees for their convenience. So, go ahead and book Shabnam Banquet, Kalkaji, Delhi to make your upcoming events a grand success. Khurana Banquets, Kalkaji, Delhi offers a beautiful banquet hall for pre-wedding ceremonies, weddings, receptions, anniversaries and other social events. The venue serves mouth-watering multi-cuisine delicacies to choose from in both vegetarian and non-vegetarian food. It gives you the freedom to get your own caterer from outside to serve your favourite cuisines. Khurana Banquet & Caterers allows you to get your own decorator from outside to decorate the venue as per your requirements. While the decorators set up the place as per your theme or occasion, the caterers can whip up a delectable feast for you and your guests. The GranDreams (The Grand Dreams), Kalkaji, Delhi is a great venue to host your pre-wedding functions, wedding and reception ceremony. It is located at a close proximity from Okhla NSIC Metro Station which makes it easily accessible for all to reach. The Grand Dreams Kalkaji Road has multiple party areas which makes it easy to have various functions at the same venue. The venue serves flavoursome delicacies to choose from in both vegetarian and non-vegetarian food. 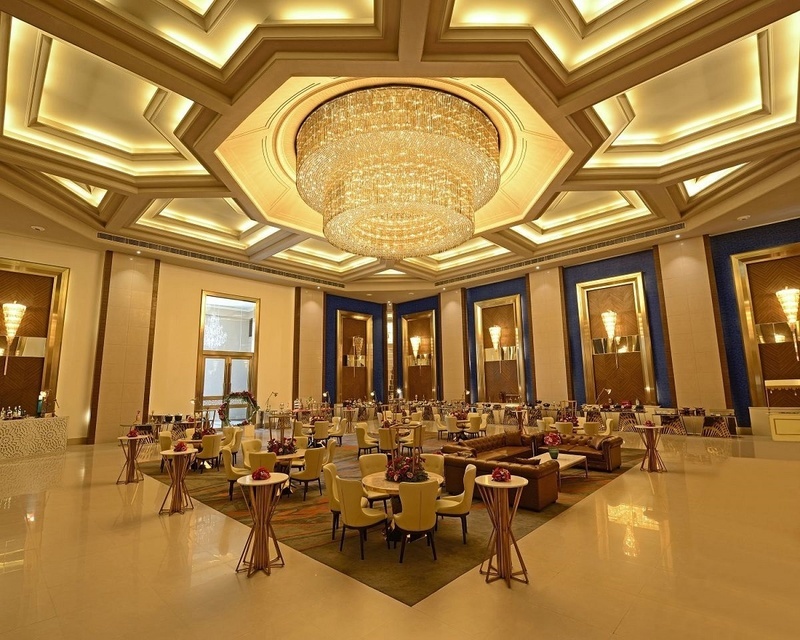 The elegant décor of The Grand Dream Nehru Place makes it an ideal option for a grand wedding. This venue is one of the best banquet halls in Kalkaji and has an inviting ambience which makes your guests feel welcomed. Where - Plot No.2, Shambhu Dayal Marg, Kalkaji Road, Outer Ring Road, South Delhi, Delhi 110020.